The Hopewell Health Centers Gallipolis branch is located near the intersection of Ohio 160 and Jackson Pike at 3086 State Route 160. 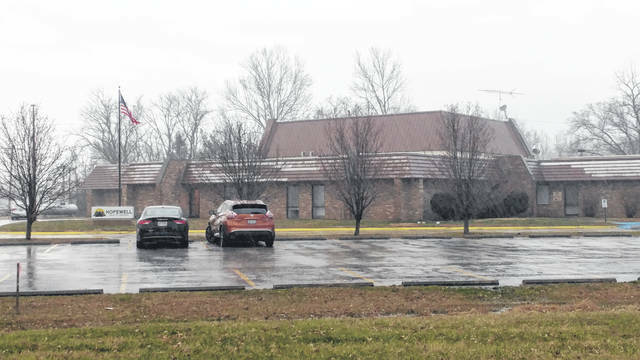 GALLIPOLIS — Gallia Commissioners recently gave approval to Hopewell Health Center representatives to seek out capital funds from the Ohio Department of Mental Health and Addiction Services as the Gallipolis branch seeks to expand its services. Hopewell representatives, ODMHAS representatives were present as well as Assistant Director of the Gallia-Jackson-Meigs Board of Alcohol, Drug Addiction and Mental Health Services Angela Stowers at the meeting. Should the Gallipolis Hopwell location obtain capital funding, the finances will be used to increase the size and scope of the Gallia County Hopewell Health Centers facility. This will bring primary healthcare to the site allowing for the integration of physical and behavioral healthcare. The existing building will be upgraded and there will be an expansion of the building that will add an additional 3,190 square feet to the existing space. This would include six primary care examination rooms and six dental rooms. An expected 17 new jobs will be created, two primary care providers, two dentists, one dental hygienist, four nurses, four dental assistants and four office assistants. The additional services that will come with this include primary care, dental care and medication-assisted treatment. These services will be available to the 1,700 clients already served by the clinic as well as to others seeking these services. The clinic would be open 8 a.m. to 5 p.m., Monday through Friday, but will also allow for 24-hour primary care on-call for those being served at the crisis stabilization unit. The Gallia-Jackson-Meigs ADAMH Board officials say it is supportive of these plans because the integration of primary care and behavioral health care is good for both patients and providers. It brings a team of experts together and allows for the opportunity to address the whole person. Many people who suffer from addiction and or serious mental illness are less likely to seek treatment for their physical health. This co-location and team approach allows for an immediate “warm hand-off,” officials say, for these individuals to obtain the care they need. Research has shown that people with severe mental illness often die anywhere from 13 to 30 years earlier than the general population from medical conditions that could have been treated by a primary care provider. Combining mental health services and expertise with primary care will help reduce costs, increase quality of care, and ultimately, save lives, said the board. Information was provided by the Gallia-Jackson-Meigs ADAMH Board.